A petition to increase college funding will get its day in the sun with a debate in the House of Commons. On January 21, MPs, led by Daniel Zeichner, will debate the topic after a student petition reached 69,000 signatures. It reads: “Funding for colleges has been cut by almost 30 per cent from 2009 to 2019. “A decade of almost continuous cuts and constant reforms have led to a significant reduction in the resources available for teaching and support for sixth formers in schools and colleges; potentially restricted course choice; fewer adults in learning; pressures on staff pay and workload, a growing population that is not able to acquire the skills the UK needs to secure prosperity post-Brexit. News of the debate has been welcomed by many across the FE sector this morning. 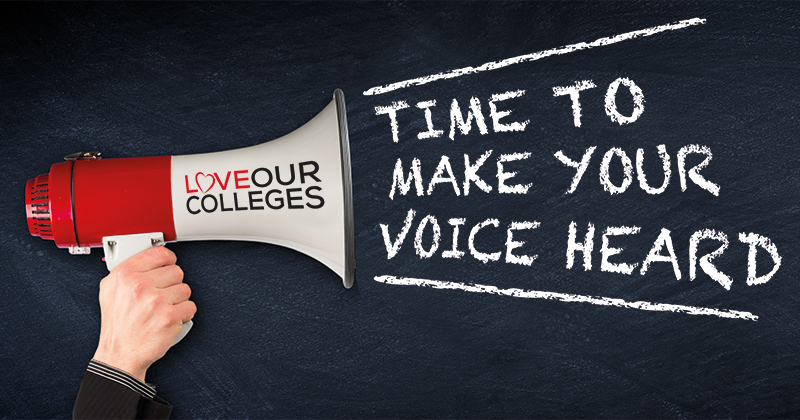 The petition was started in October last year by students at Brockenhurst College, in line with the Love Our Colleges campaign. One of those students, Charlotte Jones, told FE Week: “Our teacher has talked to us previously about the way in which we are funded as students, and we decided as a group we wanted to do something about the inequality. “All we want is equality, and I think that’s fair to ask. The announcement of a debate follows a formal response by the government on the topic of the petition in November. The response read: “We are funding priorities in further education including new T-Levels, and looking at the needs of colleges ahead of the Spending Review. “However, colleges are not in scope for school pay arrangements. Hope that there is the recognition that FE is not just about young people, isn’t limited to colleges and is continuing to fill some of the void created by cuts to social care budgets…. Time for Government to show whether they value that contribution to society.